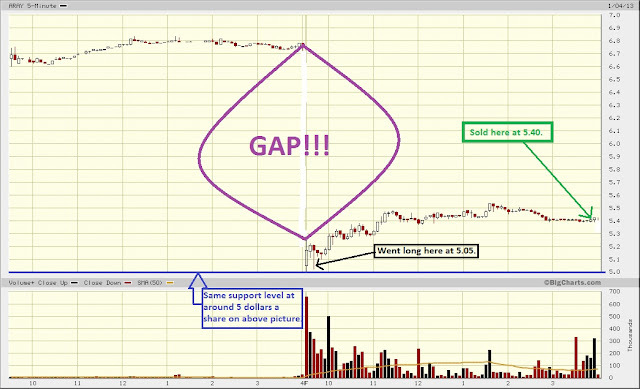 TRADER 9: Trade of the day, ARAY!!! 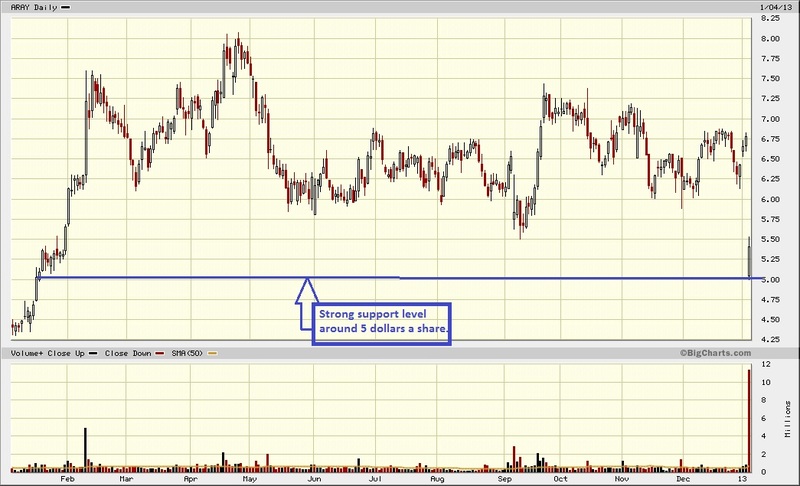 ARAY had a strong support level around the low 5's for about a year now. 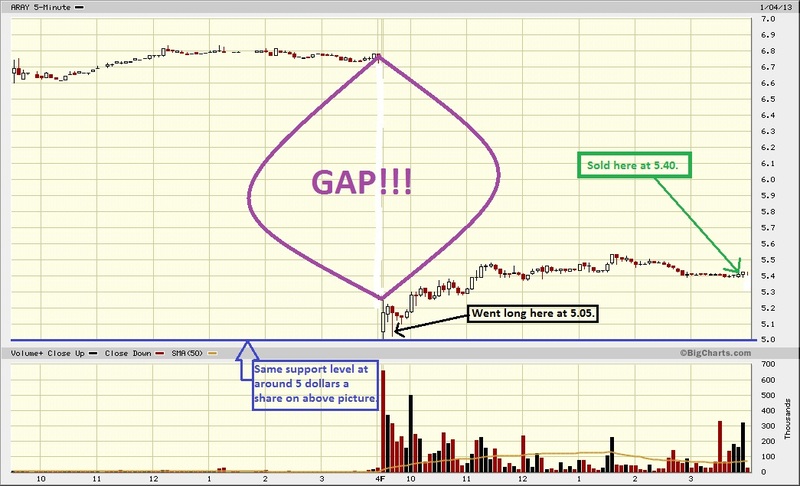 It gap down this morning and tested those lows again, so it was pretty much a no brainier to go long 1000 shares at 5.05. I placed my stop at 4.99 because there was a huge bid at 5.00 a share on my level 2 screen. If that bid had gotten taken out, it would have been free falling time for this stock. I decided to hold ARAY until 5 minutes before the close hoping for some Friday short covering rally. Sold it at 5.40 right before the market closed for a .35 point gain. 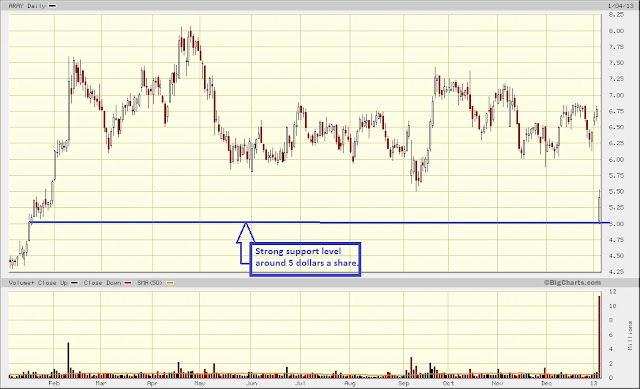 The above chart is ARAY daily showing the support level, and below is a 5-minute chart of ARAY.